This article will provide guiding principles to choosing a location and type of lodging for a Mould Avoidance/Locations Effect sabbatical. I will also share some of the tips and tricks I have found over the years. Those two sabbaticals are not always the same thing, but here I am talking about them as if you are doing both at the same time. This article will still be helpful if you're looking to do a locations effect sabbatical with only moderate mould avoidance. Over the past 10 years, I have watched people with CFS, Fibromyalgia, Lyme disease and MCS conduct mould avoidance experiments. It seems to be very rare for people affected by these diseases to not be affected by mould and other environmental factors, like off-gassing and the quality of the outdoor air. To conduct this sabbatical will need to find temporary safe accommodation in the cleanest environment you can access. Erik Johnson, who discovered the connection between mold, the locations effect and CFS, talks about a "Mobile Environmental Control Unit" which is a "safe house" trailer or RV to use as a baseline. I have written a post on mobile safe home and safe trailers, a customized trailer, cargo trailers and vans. A tent is a good baseline for many. It is not easy to find a trailer that meets the needs of those very sensitive to mould as well as chemicals. I help clients choose between trailers, tent camping, or more conventional options - anywhere from glamping to rental houses. A Beginner's Guide to Mold Avoidance: Techniques Used by Hundreds of Chronic Multisystem Illness Sufferers to Improve Their Health is the book you want to start with when conducting a mould avoidance sabbatical. I help people through my Consulting go through the process of preparing and undertaking a sabbatical. I can help you decide what to bring what not to bring, where to go and what types of accommodations to try, depending on the severity of your conditions and what's feasible for you. This post contains affiliate links to relevant books and products that I use and recommend. Almost everyone I know with CFS/Fibro or Lyme has felt better in a "good location." 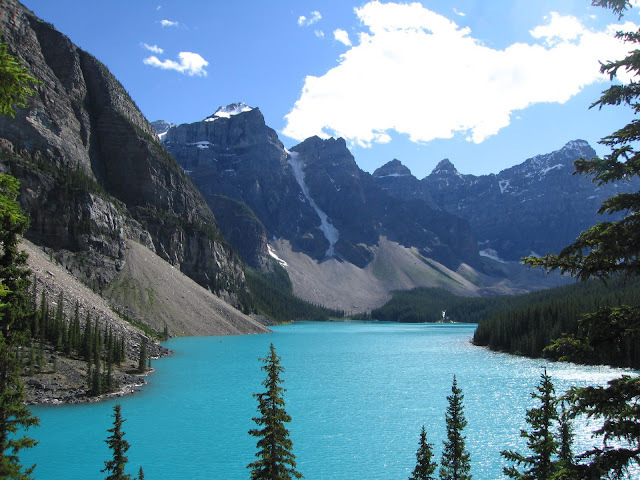 Some people will say they felt 80% better in Cayman islands or had many symptoms go away while camping in a national park or while vacationing in the Rockies or Aruba. There are many more stories on the Locations Effect Facebook group from people who have felt much better from CFS and related illnesses using this method. From watching this over the years, I can say that pristine outdoor air is where you get the big boost, but you still have to be as particular about the indoor air. In a good location, sometimes in a fantastic location, you may have a higher tolerance for regular housing. But not everyone is so lucky. For those who are already hypersensitive or are coming from a house that is less mouldy than most, a lot of caution has to be taken before assuming that. Something I feel that has been lacking in support groups is experience in how to choose safe housing for this experiment. Buildings the world over are moldy. The majority of trailers are moldy as well. So to step out and try this experiment is not so simple if you are not starting out with a tent. If you have MCS and or EMF sensitivity this is even more difficult. - Going to a good location but choosing a regular hotel or rental online that has not been vetted or even carefully analysed. It should never be assumed that simply choosing something that looks clean online is not mouldy. Most buildings in almost every climate are mouldy. - Many people who are sick with these types of illnesses have travelled, whether it's domestically or internationally, and have often felt better in a new location. That is a huge clue. However, it's also very possible that you have travelled and not felt better anywhere else either because you were going to similar locations, bad locations, bringing your stuff, or you were choosing regular housing that was mouldy or toxic. If you don't think the locations effect applies to you because you have travelled before, that is not enough info to go by if you have chosen regular hotels and rentals in the past. - It's a mistake to think that because a climate is drier or because you're going to a beach location it will be better. Islands are also assumed to be better but are not always so. Florida has some of the most toxic beaches. Drier climates have moldy buildings just like everywhere else. Of course lower summer humidity and less rainfall may mean there are more buildings that are a better choice. 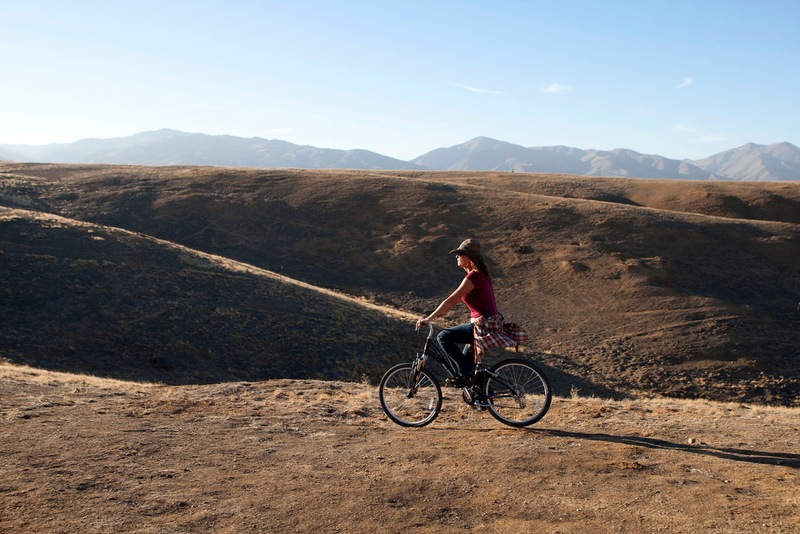 But a drier climate does not guarantee safer housing or better outdoor air. The Canary Islands are an example of a place I've been to that are drier than many places, but the buildings are mouldier than usual because of the lack of heating and cooling. There are many great locations where people have healed that are certainly not dry. The Canary Islands are also an example of islands that are not as great as you would expect. Hawaii is another example of islands that are not spectacular. Also note, poorer countries often have poorer building practices. Using the Locations Effect, Mold Avoiders, and Mold Avoiders on the Road groups on Facebook, and suggestions from others who have recovered, find a good area. The key aspect here is the outdoor air quality. People have felt remarkably better in places that are exceptionally pristine - these might be in the mountains, tropical coastal areas, or the desert. Those are the most popular choices, though forests and grasslands and all types of ecological areas can be good. Still reported good for camping. Those severely ill can fly in. None of these locations can be expected to stay good if they have been recommended years ago. Housing recommendations are even trickier. For my updated list of housing in good locations, see my list here, I keep track every time somebody shares a specific place where they recovered. Check with people in the Facebook group Mold Avoiders or the Locations Effect to see if the area is still good. I often do consultations on this topic because locations and especially buildings change over time. I am able to vet places near me and I can use my network to vet housing in other locations. Otherwise, I can analyse them through photos to some degree. There are factors here that are individual, not everybody does well with altitude, not everybody does well in a tropical setting if it's hot. I would definitely take into consideration your individual factors, but I would not assume that you are looking for just a drier climate or just a beach location. However, there is still enough of a consensus on locations where people have healed as long as you take into consideration those personal aspects such as altitude and heat, etc.. 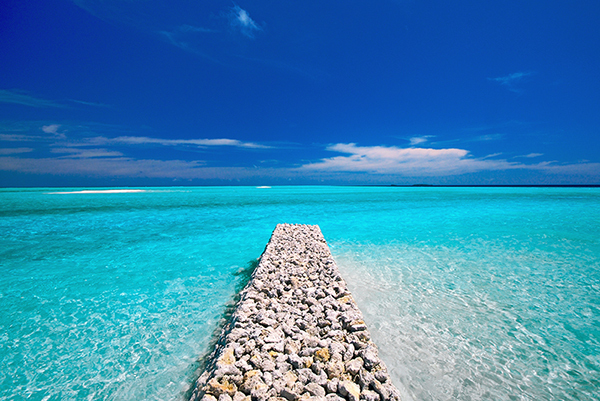 Many are able to do a lot of healing in clean, clear turquoise waters. When looking for healing water, look for clean water and clean sand meaning not a lot of seaweed or debris. Look for bright turquoise and calm waters where you will be able to sit and float in the water. You can look through Google photos (not promotional shots) and satellite images. Avoid areas with sargassum, too much seaweed, red tide and cyano (like Florida). There can be other toxins in the water if sewage or other toxic runoffs are dumped there. Ricky, who has made a 100% recovery on various islands, has developed this method of analysing water, the location of housing on the island and which islands are best. You can read his advice in the Locations Effect Facebook page or follow his journey to relocate to the Caribbean permanently here. 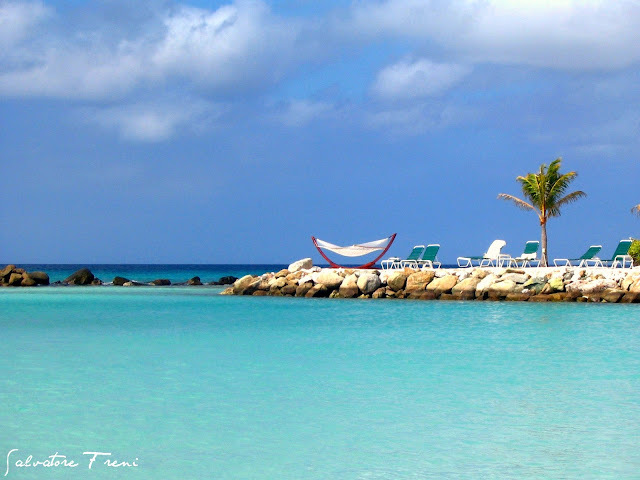 Aruba (pictured), Cayman, Turks and Caicos and Anguilla are reported good locations. Not all of the Carribean is good and not every part of a good island is equal. Look for good water, trade winds, good proximity to the beach. When I'm looking at locations I'm looking for three things. 1. Places where people have totally or almost totally recovered just from the locations effect. 2. Places where the most extremely sensitive people have made great improvements. And 3. enough consensus on the location. A lot of mixed reports indicate that the location might not be the best for those super sensitive or to make the best chance at recovery. One additional strategy you can use is to look at the progress of people who have similar illnesses to you, similar sensitivities, and a similar level of unmasking. This last piece can be really important especially if you have really specific sensitivities, for example, you need to avoid pesticides or high EMF areas that other mould avoiders may not be avoiding as scrupulously. Generally though, it's the mould avoiders who are healing who have the highest level of sensitivity to the environment, not just to mould, but to many different types of outdoor toxins. I look at the reports over the last 10 years and I look at who is reporting - have they made a significant recovery, and are they unmasked already. For those just starting out and who are not unmasked and are coming from a really mouldy place, they may see a quick improvement by changing locations with only decent enough housing. This does not mean the location is excellent, and they often cannot hold on to these gains if the location and housing are not great. A tent is less risky as you have way more control over the environment you are sleeping in (but it could be difficult to offgas). A tent can be hard for someone who is extremely sensitive to temperature. But there are lots of tips and tricks in my post on camping. I have made progress in a tent even when 90% bedbound. Other options include glamping, RVs, and hotels/rentals. Finding lodging that is chemical/scent and mould-free is trickier, and everyone is different in their sensitivities, so even a good recommendation is tricky. Places also may have been contaminated or become mouldy since the recommendation was made. Here is my post on camping. I go through options for tents for people with chemical sensitivities as well as how to keep your tent and gear as mould-free as possible. I also share some of my tips for people with challenges around comfort. When looking at glamping setups I'm looking at them just as closely to inspect the age and condition of the materials. Canvas is a no-no unless it's brand new in a dry climate. I want to see raised off the ground. No used tents on flat surfaces. Yurts and domes need to be looked at carefully for offgassing and mould. 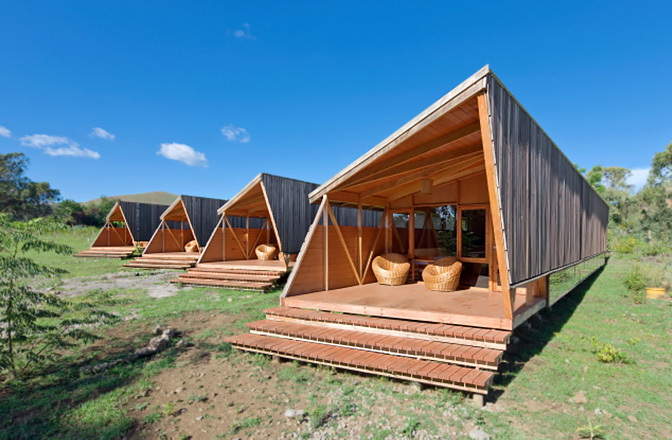 When glamping, look for well built simple structures, raised off the ground. These otentiks can be found across Canada. Ask about the age and materials. 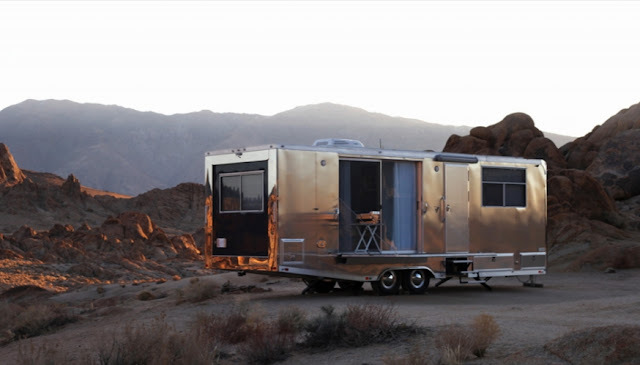 Airstreams can be rented from many different places but you want to go as new as possible there. Having a cargo trailer with no wood, offgassed Camplite or offgassed fibreglass trailer could provide a good baseline home. Here is my post on trailer options. And here is my post on converting a cargo trailer. I have a separate post on cargo vans. There are sites that rent converted vans like Outdoorsy. If you have never lived in a metal trailer before you have to take some caution here, as not everybody can tolerate metal. 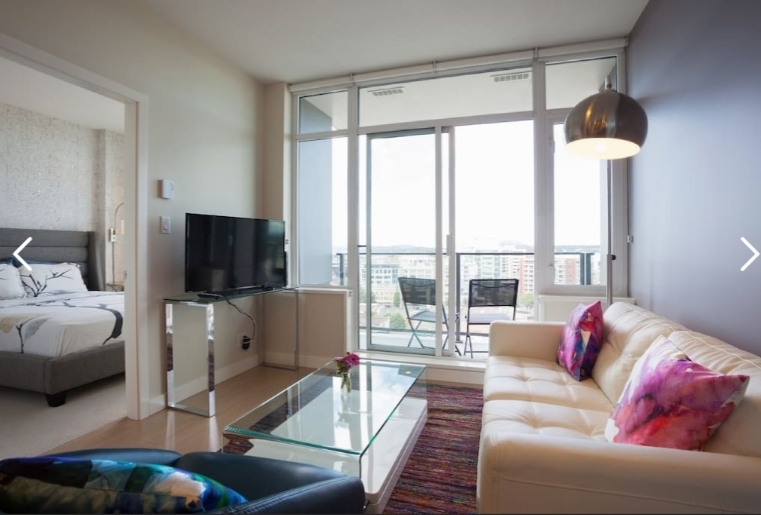 There are a few ways to go about finding good rentals or hotels. One way, if you're totally masked and this is all new to you, is you could just look for somewhere someone has recovered recently. If you do not have MCS you may be able to bank on something new if it is carefully chosen - analyse the likelihood of this type of building being mouldy in that country and climate. If you are already very sensitive to chemicals and or mould, you have to be a lot more cautious with the recommendations. Usually as new as you can go is the best bet, but not always. Depending on where you are in the world it is possible for older buildings to be better built. There are many building types that are mouldy from the get-go. In some countries building practices are so poor that the building will be mouldy within a year. I look at the type of construction and the quality that could be expected based on where it is and who it was built by. But not everybody is the same in what is best for them. A wooden simple hut or log cabin may be great for some, but some can't tolerate wood. For me personally, a very new concrete high-rise with climate control is usually the best option, but they're not perfect. Concrete is often wet for great lengths of time during the building process and does not dry properly. Concrete buildings are an even bigger problem in tropical countries where there is no climate control (no indoor humidity control) or if building standards are poor (example: slabs built wrong). The HVAC type has to be analysed for its propensity to go mouldy as well. The type of building you choose will depend on where it is located. There is no one fits all recommendation here. There are places where I would prefer a little wooden hut or cabin. 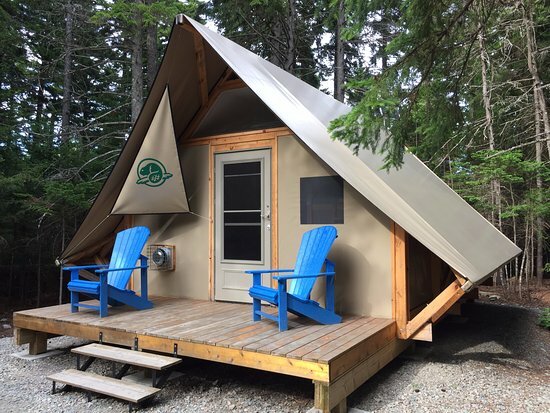 Sometimes glamping setups can work, but there's no guarantee that those are going to be made with materials that were not water damaged or have not gone mouldy with time. Baseboard heat and no AC in a climate that is not hot & humid, laundry vents to roof. I have at times done well with an Airbnb that has an outside sleeping space, but even then there was a learning curve because a mouldy building can be felt and even smelled from 100 feet away or more. And, outdoor concrete, tiles, and balconies are very prone to mould in tropical countries. So this is not always as easy as it seems. I would go brand-new and I would make sure you have a large enough space outside to backyard camp. Because of these requirements, this option can be expensive. There are certain areas of the world where I would not go with anything that has a slab or a basement due to poor construction practices or waterlogged soil. In fact, I very rarely choose ground level accommodation. Even for small huts or cabins, I want to see them raised off the ground. 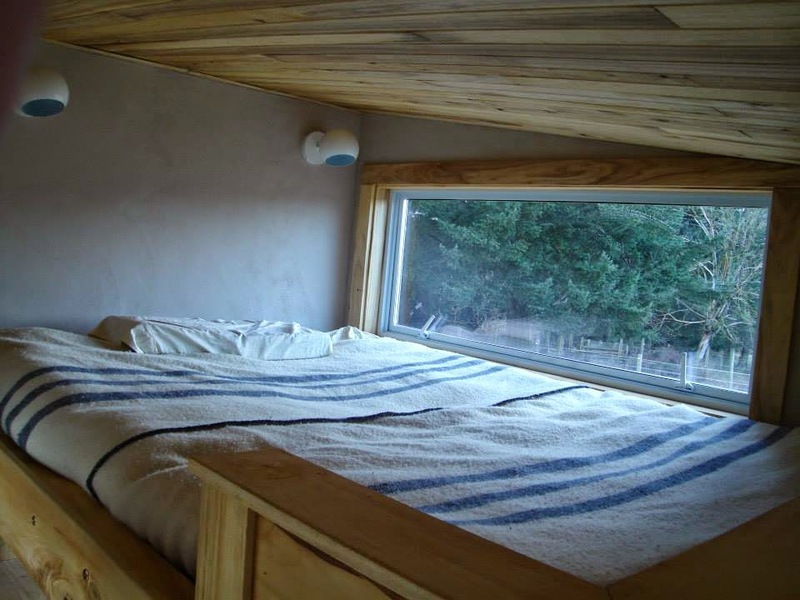 Simple wooden cabins, made from climate appropriate, non-water damaged wood, with no insulation and raised off the ground have a good chance of being good. Ask about the age and wood sealers. This is where I bring in my experience of travelling throughout different parts of the world in different climates and trying out hundreds of buildings while mostly sleeping outside and staying unmasked. I use the knowledge acquired from Building Biology and building science experts to analyse what's not working. Some things you can ask about are cleaning products, air fresheners, last year of renovations, any water damage especially hurricane damage or leaks, pesticides, and anything else that you're specifically sensitive to. -Caution with cotton in high humidity environments, like camping in a tropical setting, especially if hand washing clothing. -This compact microfiber towel dries quickly. -I have these cute plastic shoes which I love. If you are camping you're going to want rubber or plastic shoes. They are good for beaches too. Easy to wash and decontaminate and they look decent. You can leave them outside without them going mouldy. -Although it's not necessary, I do like charcoal soap and gloves to decontaminate the skin. You may end up showering more than usual, in which case you're going to need non-irritating soap and a better moisturizer than usual. I have found probiotics to be very useful on the skin when showering a lot to protect my microbiome. -This dish soap works well as an all in one soap - dish, laundry soap, body soap and shampoo in a pinch. But when travelling light I bring this laundry soap in bar form. If you require scent-free soaps you will want to check that the country you're going to has that option. Another item you're unlikely to find in store in many parts of the world is a scent free and natural sunscreen. I like badger. -I use mylar bags to sequester items. Careful, if the aluminum starts to flake off or become dust form, discard these immediately. -I use these aluminum tarps to sequester a bed. I may be sequestering off-gassing, mould or bacteria. I also use them if my sweat is contaminating the bed. Throw out often. If the aluminum flakes off or becomes dust form discard immediately. -I use little glass jars with glass lids to isolate and store items like medication because it is very easy to decontaminate them. -I bought this affordable tablet for my last trip on a Black Friday sale. For a shorter trip, this can replace both your laptop and your phone. Use Skype to make phone calls and if you need to do a lot of work buy a portable keyboard as well. You will need one that comes with a SIM card slot if you are out of Wi-Fi and can't tether a phone. -I used to bring a heating blanket everywhere I go so I can sleep with the window open, on a balcony or in a tent. You will almost certainly have to wash or air those out before using. If you can tolerate a heating blanket, you're going to be able to have access to way more fresh air and colder temperatures. -I find that it's much easier, in the beginning, to have separate clothes for indoors and outdoors until you are able to really assess when something is contaminated, if it can be washed, or if it needs to be thrown away. 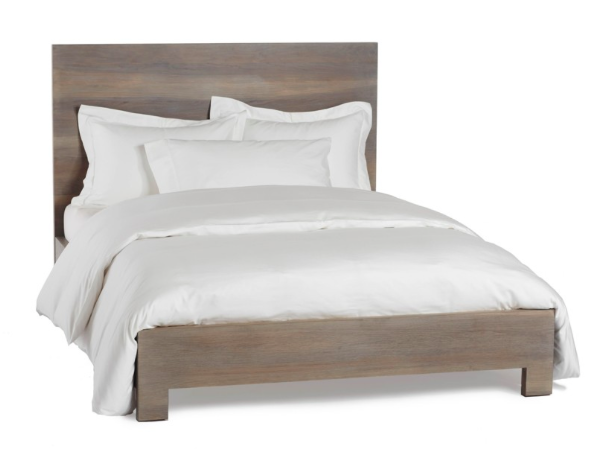 -If you can, wash the bedding when you arrive or bring your own and request no bedding. Examine the washing machine in the building that you are staying in to see how mouldy it is. (They are usually mouldy, but Airbnb's run by professional management companies often ship out their laundry, if you find a new building like this you may find a washer and dryer that have barely or never been used). -Wash clothes by hand with non-toxic, scent-free soap. Note, Borax is no longer considered safe to use in the laundry for decon but many people do still use this and I think the risk is low. For those who are not very chemically sensitive, quaternary ammonia, like Unscented Downy, can be very useful for removing mycotoxins from clothes. Some people start to detox a lot through their sweat and that may be cleaned by boiling or other methods. Some use ozone on their clothes or EM1 to soak them. I see improvement in symptoms after one day of being in a good location. Certainly one week is minimum for your test run, but I would aim for 3 weeks. After a few weeks, you will have a heightened sense of smell and will be able to detect contaminated objects much more easily. Note that some moulds do not have a scent, judge places and items more on your symptoms then how they smell. EMFs in a location are an important factor as well as pollution, chemicals and mould. Factors that seem to be very important are mystery toxin, cyanobacteria, toxins around military bases, some brand new buildings that have high offgassing, and regular air pollution. In some locations that are particularly bad, we don't always know what the toxin in the air or water is. As an Amazon Associate I earn from qualifying purchases through the Amazon links. 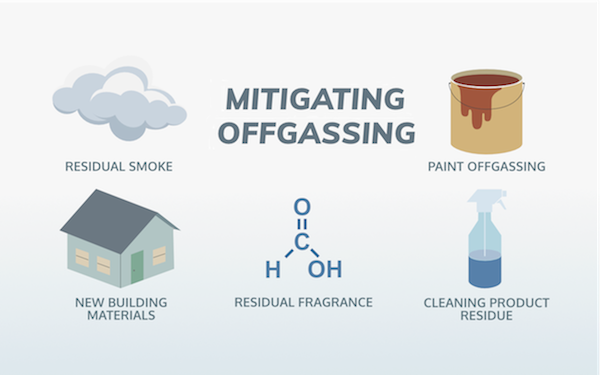 This article will cover ways to reduce offgassing including new paint, formaldehyde as well as other residual smells in a house like fragrance and smoke. This post contains affiliate links on the products I recommend. The simplest way to overturn the air and ventilate (diluting the VOCs) is to put one box fan coming in a one going out - ideally on the other side of the room. You can also get these at Walmart for a good price. Here you need to have tolerable outdoor temperatures and acceptable humidity levels. Take some caution here if you don't have the same amount of air going in and out with what the effects of the negative or positive pressure will be. You will need to watch humidity in some climates, humidity should be below 55% humidity in hot weather. ERVs and HRVs overturn the air and ventilate a house or trailer. I use the Panasonic Whispercomfort ERV in a single room trailer. 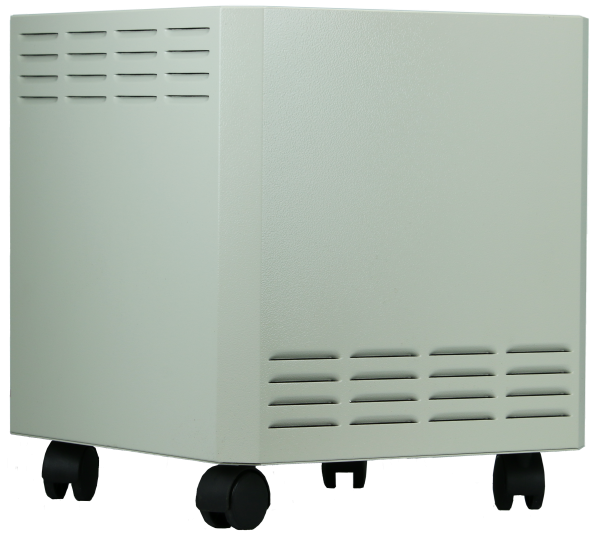 It provides 40, 20 or 10 CFM, which is a high turn over of air. This one is not made for cold climates. The air it brings in is halfway between the temperature outdoor and indoor, which means it's bringing is fairly cold air most of the year in Canada. It stops working at -7 C. When using an ERV in a small space, consider the effect on humidity as well as temperature. 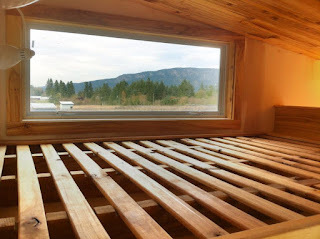 Another popular one for tiny houses is the Lunos which is an HRV. There are whole house systems as well. Offgassing -Plastic or glue in the unit? Glue in the filters? Motors "burned in" or encased/sealed? Other Comparisons - How loud they are (dB), the cost of replacing filters, and year established (so you can feel certain they will be around to replace filters and parts). 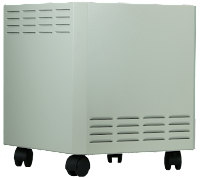 If you are interested in PCO technology that is more geared towards filtering mould, see my article on air purifiers that use that technology. This article is about the classic types. Some of the most extremely sensitive folks prefer this brand but not all have tolerated it. All metal. Filters don't offgas. No glue on the HEPA like true HEPA has. Option to have true HEPA which has glue. AirMedic Pro 5 HD MCS is made for MCS - The burn in motor by running and offgassing it for 6-8 hours. You can choose the carbon blend from an option of 7 blends in a test kit. It has 24lbs carbon and is dB 35-60 @1ft. You can buy some models at Walmart or through some sellers on Amazon. There are different filter options with different types of carbon/absorptive material. Again, reactions often attributed to Potassium permanganate. You can test out their different filter options. Steel units, plastic on the wheels, not plastic inside. Some with extreme MCS have picked up offgassing, but many with MCS prefer this brand. You can buy them at Walmart and Amazon. They also sell the replacement filters at Walmart. EnviroKlenz is a slightly different technology than the others here. I have been using this unit and been happy with it. Like the others this unit has a HEPA filter, but instead of charcoal/PP/zeolite it uses minerals including magnesium oxide, zinc oxide, and titanium dioxide to nuetralise VOCs, chemical odors, and smoke. The EnviroKlenz according to the literature, destroys most pollutants. Contrary to odor masking methods, the nanocrystalline materials contact, adsorb and then neutralize the odor-causing substances. It is effective against aldehydes and pollutants and particularly effective against different kinds of smokes and pesticides. 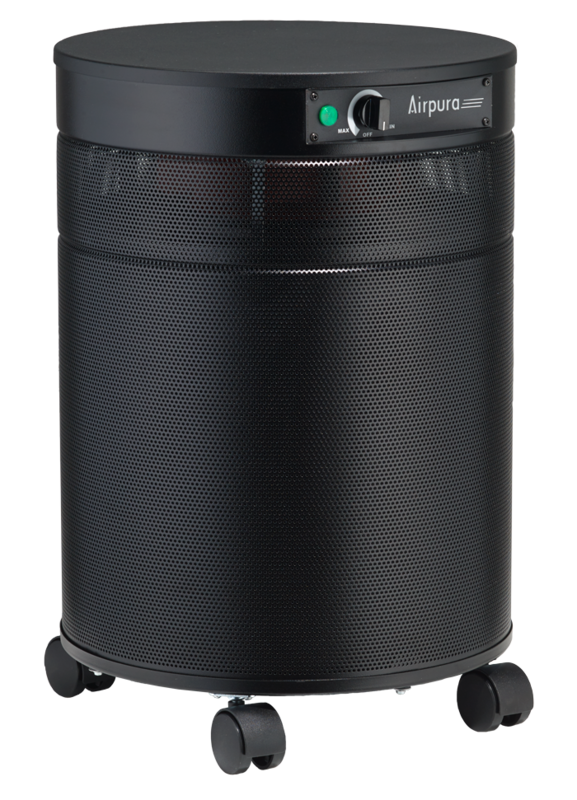 Activated carbon does not help that much with formaldehyde and smoke can be difficult to filter as well. My preference for this unit comes from its ability to deal with formaldehyde and smoke. EnviroKlenz materials will chemically dismantle many VOCs. Hydrocarbons will be absorbed but not chemically modified. The company has a number of patents and it has been tested you can see that info here (you can search and read patents here), and for a summary of research articles and references on this technology see their technical report here. 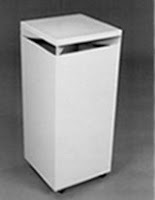 Filter replacement costs: Mineral cartridge 4-5 months 100$, HEPA every 2-3 years $150. Rated the same as true HEPA. 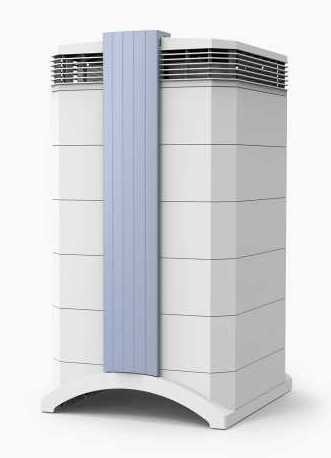 This air purifier has been in production for 7 years. They have a sealed motor - bearings are sealed in. They run the motors outside for 2-3 days first to offgas them. Metal construction, uses no adhesives, have HEPA filters without any glue. These are made for the chemically sensitive and some of the most extremely sensitive like this brand. They sell filter sample kits so that you can check out the different materials used. Generally, for the extremely sensitive, PP is difficult to tolerate. The most sensitive should start with their pure Bituminous coal filters. Having a sealed motor will be key for the most sensitive though this one has a lot less carbon than the other models. 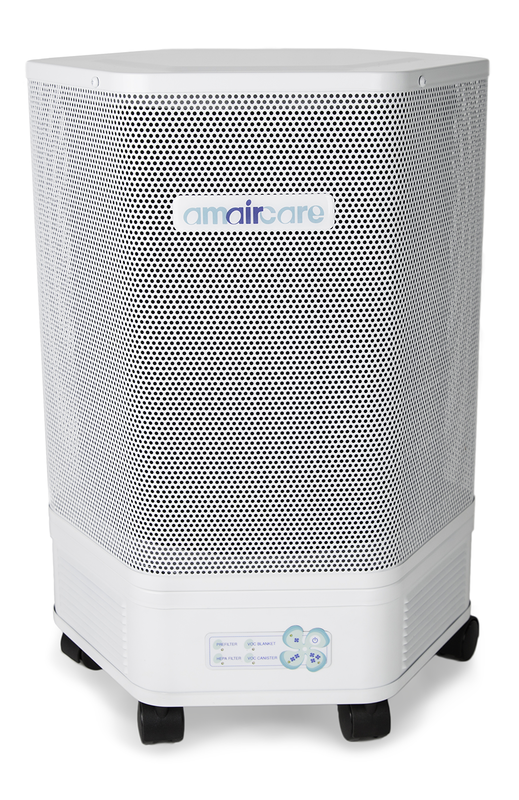 This might be one of the best-known brand names in air purifiers. Some people with MCS swear by it. The most severely sensitive do not always tolerate it. The unit is made of plastic and the offgassing of the unit itself might be an issue. The potassium insert can be hard to tolerate for many which is not unique to this brand). Some people have sent back filters that smelt especially sweet or strong and received ones that were more tolerable. 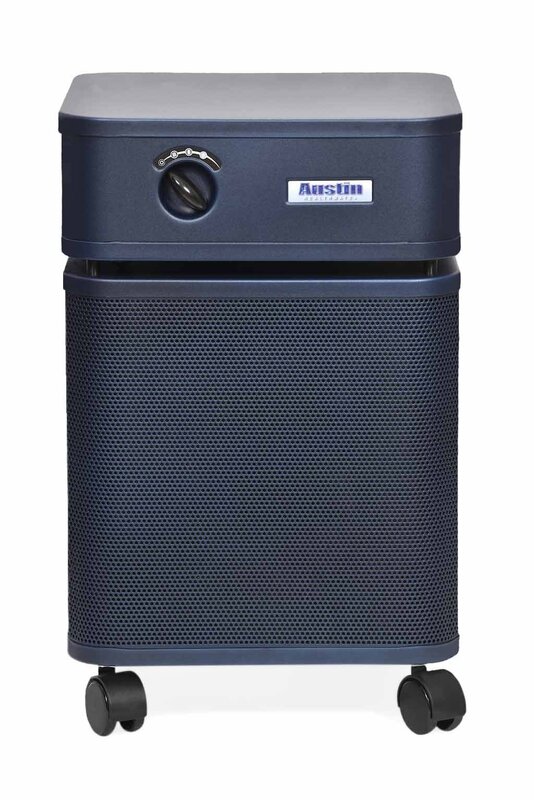 Nevertheless, this is a favorite and well-trusted brand for many with MCS who want a robust air purifier. You can buy the Healpro and Multigas directly through their website. Made of metal, no plastic or foam. 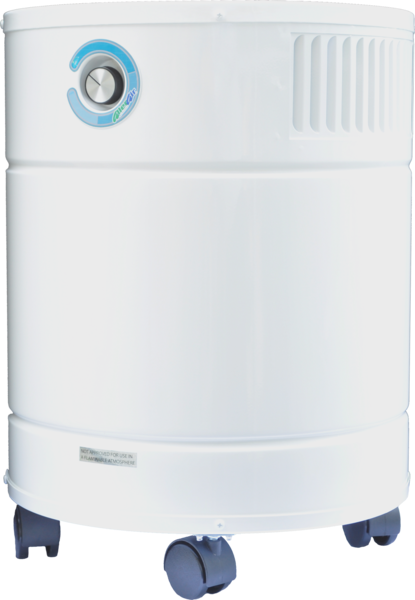 The HEPA is rated at 2-5 years when the prefilter is maintained. One person with moderate MCS said the HEPA filters smelled like chemicals. He requested a new one which was better. You can find this model at Walmart or through some sellers on Amazon. Claim All metal housing, ensures no plastic vapors are emitted. Didn't work for some people with MCS although some do well with it. They sell these at Walmart. Placing carbon around the house can be quite effective to absorb offgassing including new paint fumes. You will need large amounts like these from Walmart or Amazon. You could also place carbon onto an inexpensive box fan like this, the sheets or the pellets. The pellets will have more absorption capacity (may need a barrier between the pellets and the fan if it blows dust). The Holmes box fans are strong enough to pull air through a filter. Plates of onions cut in half and dispersed throughout the room. Paints that claim to absorb VOCs don't make a significant dent. I do not recommend those except for decoration and for a very subtle improvement. ECOS has a paint that contains zeolite. Some have reported this has helped but others have reported that it hasn't. I don't think adding a little bit of zeolite to paint will make a difference. However painting in general can help a little bit. It would be more effective to hang up zeolite in netting bags where the problem exists especially if it's an isolated fragrance. From Carl Grimes of Healthy Habitats. Note these are general guidelines, and your results will depend on the specifics of your house including the type of offgassing. To bake-out a house you want about 3-5 days of constant (24 hours a day) increased temperature of at least 85-90 F. You also need ventilation, at least 2-3 air exchanges each day. • Not getting the temp elevated for long enough - its hard to stay out of the house for 3-5 days - so folks usually only heat only during the day so they can come back at night to sleep. 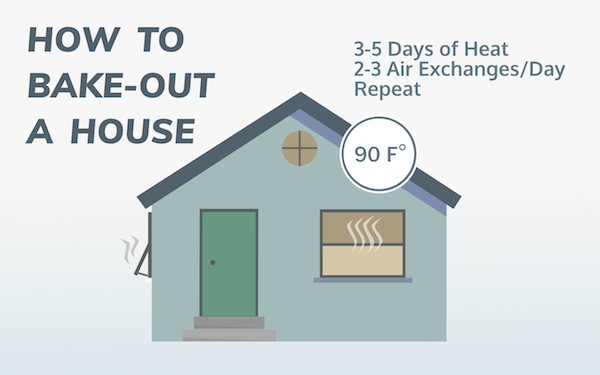 It takes at least 24-36 hours to get the materials in the house warmed up. • They don't ventilate 2-3 times a day to remove the VOCs that have outgassed. If you don't ventilate the house reaches a saturation equilibrium - no more can come out because the air is full - and - what has come out is reabsorbed back into the materials. • They try to shorten the time by heating extra hot for a shorter time. This doesn't work because it simply takes time for materials to outgas. And it takes time to get the inner materials warmed up. If you have done this without sufficient success - especially with no improvement - then you either have a massive source of VOCs (cleaning products, personal care products, or materials with semi-VOCs) -or- the problem is something other than VOCs. In order to get your house to those temperatures, turn up the thermostat to max, use additional space heaters if needed. Get to the air to 85-90 F.
Ventilate just 10-20 minutes at a time to get an air exchange - an air exchange means you are replacing all the inside air with outside air, removing the VOCs outgassed so far. You can ventilate by opening doors and windows for 10-20 minutes. If the wind is blowing, 5-10 min will do. Note: The HVAC does not ventilate, it just circulates the inside air. Fans in windows can draw air in and out. Keep in mind, outgassing even with heat is a slow process. You have to do a 2 day heat up at least. With 3-5 days for one full treatment. Baking soda and water or vinegar. For some applications baking soda and hydrogen peroxide can be a powerful cleaner (and bleaching agent). Some people add a little bit of Seventh Generation dish soap to this mixture to wash down the walls dry them and repeat. Some have said that have had success with wiping down walls with alcohol (vodka can work). Biokleen is a good cleaner to remove toxic cleaners. Another enzyme cleaner, Nature's Miracle works well at breaking down organic smells. (Make sure it is the one with no added fragrance). TSP can also be used to get rid of fragrance residues - but this is not exactly non-toxic and you need to take caution here. It will damage many surfaces so it's only for certain applications and you must research carefully how to use it safely. To remove toxic fragrances some have had luck with washing walls and floors with orange oil soap solution. When you have walls with new paint that is offgassing or that have soaked up other problematic smells, you may want to seal them. If you can, you can try and sand off the paint first, or you can go ahead with sealing them. 1. 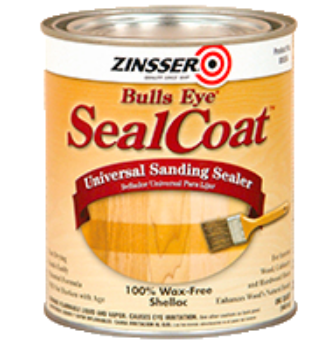 Sealer: Safecoat Hard Seal in multiple coats (2-3). Leaves a semi-gloss finish (low VOC). (To paint over this you would need to lightly sand it). Shellac is another sealer that can be used, discussed in detail below. 2. Safecoat Transitional Primer (low VOC, not always tolerated) (1 coat) followed by Safecoat paint (2 coats). Safecoat Pearl luster will give the best sealing properties. If you cannot tolerate this brand you can use another brand of primer and paint. Primer and paint is the least successful sealing option as it will only help slightly. AFM products do not seal in perfume or cat urine. They are for pourous surfaces only. Some people have said they seal in essential oils smell residue but the company does not make claims it will work for that application. Sealing in new drywall and insulation: Safecoat New Wallboard Primecoat covered by Safecoat paint is recommended by AFM. Shellac is the best sealer for sealing in odours/VOCS. The most well-known type is BIN. Zinsser the company, recommends this product as their best odor blocking primer. But the purest premixed shellac is the Universal Sanding Sealer which only lists alcohols and shellac (but does not have to disclose ingredients under 1% and I have not been able to get a clear answer on if there are any unlisted ingredients). The absolute purest one is to make it yourself with the flakes and alcohol from www.shellac.net. Both dewaxed and regular shellac (with wax) have the same ability to seal in odours. 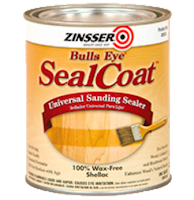 Why Zinnzer recommends the more toxic BIN Shellac Base Primer over the barebones Sanding Sealer, wasn't clear to me, and the rep I talked to did not seem to know much about this other than reading out what they are marketed as. One benefit of shellac is that is works on almost every surface including glass, metal, ceramic, and if it's dewaxed you can paint over it. The downsides are that it is a very good interior vapour barrier which can cause problems with "breathable walls" when using AC. Make sure this will work for your building envelope. It is hard to "read" the VOCs levels in these products - the white ones and the synthetic might not be well tolerated. The purest one still shows high levels of VOCs but that is from alcohol. When the alcohol dries those are gone, all you have is the natural resin. ECOS has a purifying paint. Zeolite is the absorptive ingredient in there which will absorb a little bit of VOC odour. Clients have reported it did not work on sealing tung oil. I have only heard from one person that had success with using this to seal in fragrance. To paint and seal over oil paint, you can get the best seal with shellac then AFM Hardseal. 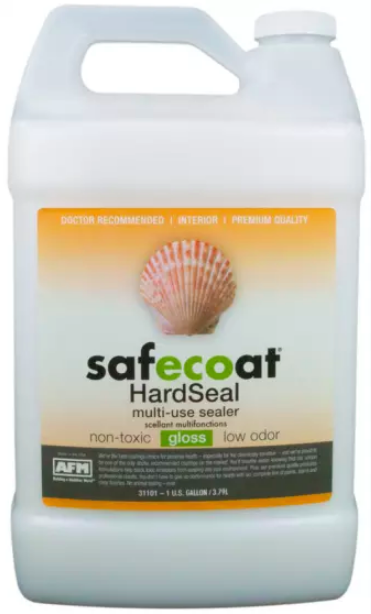 AFM Safe Seal normally is for sealing in offgassing materials - usually for sealing in formaldehyde in plywood, particle board and OSB- not recommended by AFM for walls. It's low VOC. Clear Look - Shellac or if you can tolerate AFM products, you can try a topcoat of Safecoat Acriglaze, Hard Seal or Acrylacq. Shellac itself is good at sealing in terpenes. Painted Look - One coat dewaxed Shellac - top coat any kind of acrylic or latex paint that you tolerate. For shellac you make yourself, check out Shellac.net mix and the instructions there, they recommend how many lbs of shellac is needed with 90% ethanol. If you just want to use paint over the wood, Safecoat Transitional Primer (low VOC, not always tolerated) (1 coat) followed by paint (2 coats). Pearl will give the best sealing properties. This will help with terpenes. Though AFM is not the best-tolerated paint in my experience with clients. One coat Safecoat New Wallboard Primecoat and two coats of paint is the recipe. Or shellac. To seal fiberglass - use shellac, and you can top coat that with AFM Hardseal if tolerated, to seal in the shellac or to add more sealing. There are a few ways to make a safe room in a house. To create a non-toxic room in your home you can use Denny Foil, or heavy duty aluminum foil on the walls/ceiling/floor. 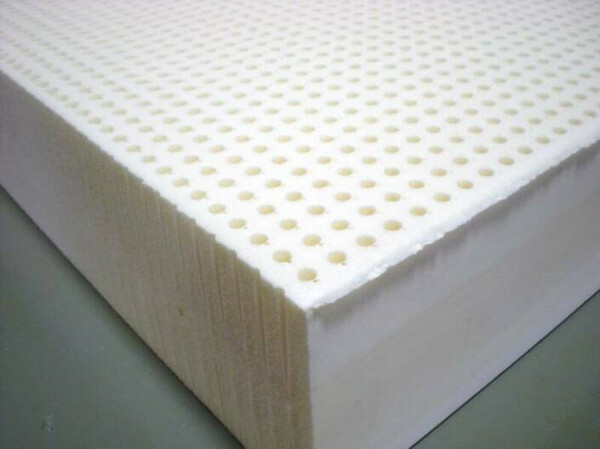 These materials block VOCs (chemicals/toxins including mould). Heavy duty aluminum foil is much easier to work with than the thinner type used in cooking or the grilling foil. You may need several layers to totally block smells. You want to use green Painting Tape for this as it will not damage the walls and is easy to remove - a healthy person could rip off/take down the whole room is probably 20-30 min (small room). The blue tape is more toxic so I wouldn't use that. You could use aluminum tape but it is very sticky and will leave a residue and will be hard to take off. Aluminum tape also smells much more than green tape, though the aluminum blocks most of the smell, the smell/VOCs do come in through the edges. Another very tolerable tape which claims 0 VOCs, but still smells a little like glue is SIGA Rissan. That is the most tolerable tape that is going to hold up, in my assessment. Don't underestimate the smell of the tape when you have a whole room full of it. I can tolerate any tape in small amounts sniffing it right to my nose. I am unable to tolerate any tape when there is a whole room full of it. The larger the sheets of foil the less tape you will have. 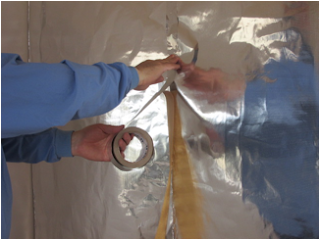 You can buy large sheets of foil radiant barrier at some places like Innovative Solutions. I would not do this where you have colder air inside than outside (AC use), though it does depend on your outside humidity and dew point. 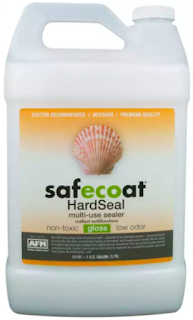 I have used this successfully on areas that were offgassing (a new door). The only thing in the room should be clean bedding i.e. a new non-toxic mattress or camping cot (etc). 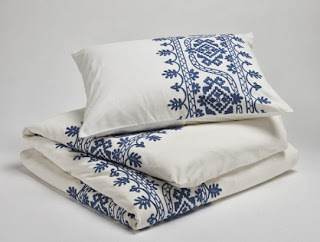 New non-toxic bedding and pillow. Be careful with bringing in EMFs producing devices if you use foil. Practice decontamination and isolation - i.e. by new clothing for the bedroom and shower before entering. This will be a safe clean non-toxic place to sleep. It should help insomnia immediately. But be careful that when you open the window or the door that the air coming in might not be good, so this won't be a long-term solution. If you have central HVAC you won't be able to isolate this room properly. You can in some instances block up vents but this can also cause trouble to the whole HVAC system. You can do this with or without a vapour barrier, with just positive pressure, there are some instructions and discussion here and here. Some people tile a room or put aluminum walls or glass up as a more permanent version of foiling walls. (Same risks with interior vapour barriers when doing this). Another option is to redo one room with all non-toxic products including going as far back as redoing the walls, insulation and floors. As long as you have adequate isolation from the rest of the house that might work for you. Keep in mind, mould tracks in and cross contaminate much easier than VOCs. This should not be attempted in a significantly mouldy house. I can smell mould off most houses up to 100-200 ft away. Positive pressure is easiest if you have a room within a room. I have done this with sheets of rigid foam. But polyethylene plastic, house wrap, foil or any other air barrier can be used. Having a room within a room simplifies problems you could cause by creating an interior vapour barrier (humidity, condensation in walls) as well as pushing air into walls with positive pressure. 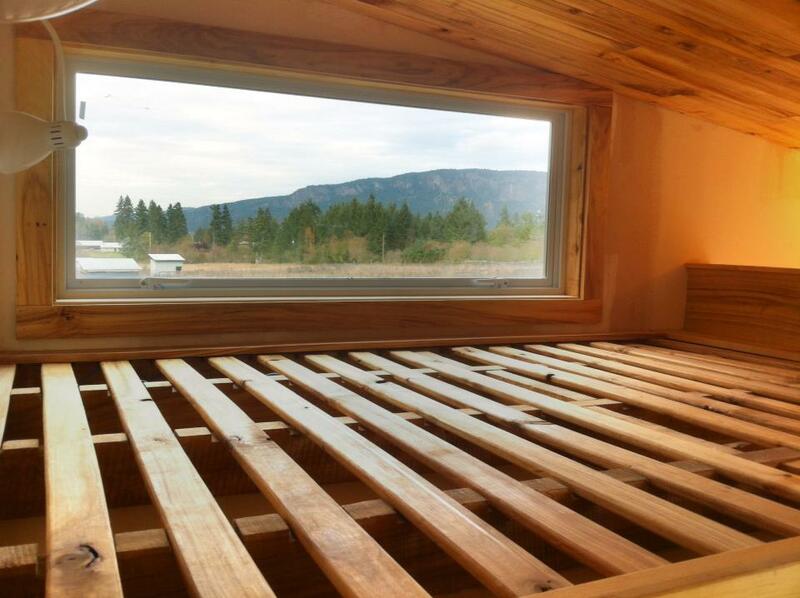 You want the room to be big enough to be able to put in a dehumidifier if needed, and a heater. Some people have used positive pressure just in a room (with no barrier) which is the most risky way to do it. To control for cross-contamination you need an entrance room as well. Use zipper doors. You may need to decontaminate in this room. (The other option is to have this open right up to an exterior door. A outdoor shower could be made in that case). When using a double room system, pressurize the main room at 2 pascals for pressure - as recommended by Carl Grimes. When using the entrance room, pressurize that with the air from the main room to control contamination from main house. The air that you are bringing in needs to be clean - if the house is significantly mouldy you can not bring in air from right outside for this to work. You may choose a simple fan system or an ERV/HRV biases, or the IQAir intake kit to bring in air, depending on your needs. Most people don't recommend ozone because it's high risk. It's high risk in terms of the safe use of it if you don't know all the precautions, and it's high risk because of possible byproducts. There are a few things I would still use ozone for. I have had a lot of success using high dose ozone on all metal trailers to bring down glue offgassing. I will use it to shock treat mould in certain cases. It is often used successfully on fragrance and smoke odours, not in shock treatment doses, in lower doses. Lower doses are less risky. It is not usually successful with typical offgassing from building materials - I would not use it for that purpose. For fragrance and smoke start with low doses for short amounts of time and stop if you are just starting to produce byproducts. Read my full post on ozone for precautions and airing out. You don't need a super powerful ozone machine for lower doses and shorter times, a simple one like this will do. See my post on ozone for more details and safety precautions. You can use ozone more safely on objects and some furniture as long as you know what it negatively reacts with (and know what it can degrade), or are willing to experiment. 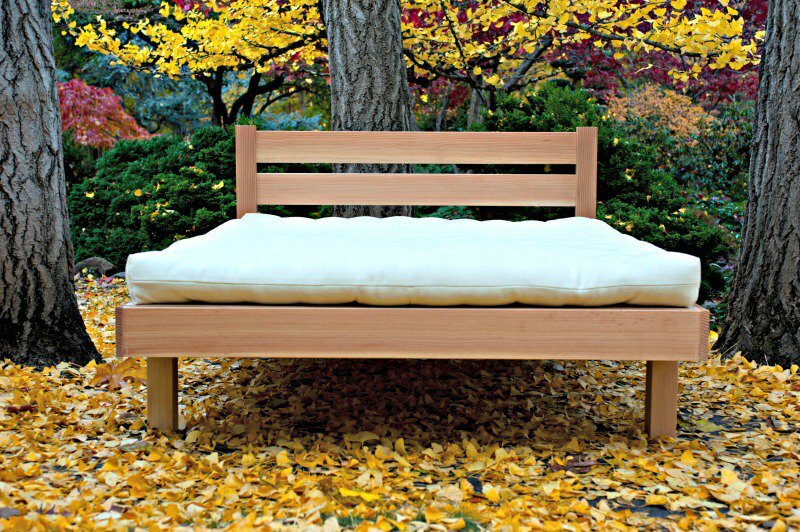 Futons are more affordable and often don't use flame retardants. Look for organic cotton or wool filled. Another cool option is kapok fiber futon which they claim does not compact as much as cotton and wool. This one is recommended by sensitive folks. Avoid conventional cotton batting which still retains a lot of pesticide. Look out for antimicrobial and even added pesticide treatments.